Mission Critical Support helps you avoid costly downtime by keeping your system healthy and optimized. With proactive monitoring, 24/7 support, and access to technical experts, your MCS designated support team keeps your operations running smoothly. 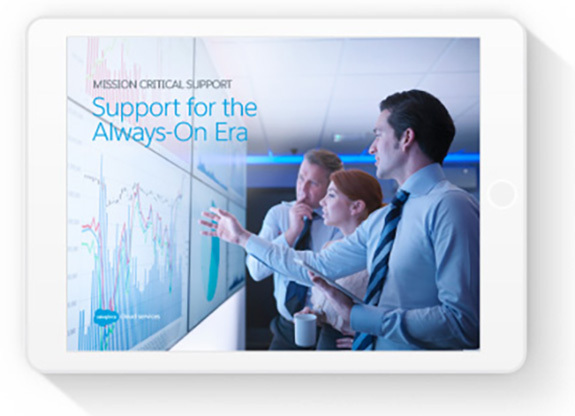 Download this brochure and learn more about expert support you can rely on. According to PwC’s 2015 Global CEO Survey, 89% of U.S. businesses are investing in data and data analytics. And yet, 30% claim to have trouble identifying useful data. Where’s the disconnect and how can it be fixed? Download this PwC infographic to grasp the big picture.